Location: Kenya; With Projects operating in Nairobi, Tsavo East National Park, Kibwezi Forest, Lamu District, Meru National Park, Maasai Mara National Reserve and Central Rift. 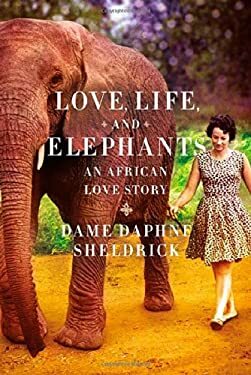 Founded: The DSWT was founded in 1977 by Dr Dame Daphne Sheldrick D.B.E, in honour of the memory of her late husband David Sheldrick MBE. Species: African elephants, black rhinos and white rhinos, including the extensive protection of all of Kenya’s wildlife. Description: Born from one family’s passion for Kenya and its wilderness, the David Sheldrick Wildlife Trust is today the most successful orphan elephant rescue and rehabilitation program in the world and one of the pioneering conservation organisations for wildlife and habitat protection in East Africa. The DSWT operates numerous projects in the field, on the frontline, all targeted towards ‘Saving Wild Lives Today and Securing Habitats for the Future’, including Anti-Poaching and Aerial Surveillance, Mobile Veterinary Units, Habitat Protection and Community Outreach. In 2004 the DSWT was incorporated as a Charitable Company in the U.K. and granted charitable status by the Charities Commission, whilst US supporters can choose to make tax-deductible contributions to the US Friends of The David Sheldrick Wildlife Trust, a US-based 501(c)(3). The Orphans’ Project: The Orphans’ Project exists to offer hope for the future of Kenya’s threatened elephant and rhino populations as they struggle against the threat of poaching for their ivory and horn, and the loss of habitat due to human population pressures and conflict, deforestation and drought. To date, the David Sheldrick Wildlife Trust has successfully hand-raised over 140 infant elephants and has accomplished its long-term conservation priority by effectively reintegrating the orphans back into the wild herds of Tsavo, claiming many healthy wild-born calves from former-orphaned elephants raised in the Trust’s care. After each orphan rescue, the long and complex process of rehabilitation begins at the DSWT’s Nursery, nestled within the Nairobi National Park. For milk-dependant elephant calves it is here, during this crucial phase, where they are cared for and healed both emotionally and physically by the Trust’s dedicated team of elephant Keepers. Each elephant remains at the Nursery until they are ready to make the journey to one of two rehabilitation stockades in Tsavo East National Park, over one hundred miles south east of Nairobi. This second phase of rehabilitation sees each orphan’s gradual transition back into the wild herds of Tsavo, taking a period of up to ten years before the orphans can finally return to the wild. With the value of ivory and rhino horn increasing due to an insatiable demand, both elephant and rhino are under threat like never before. To combat these devastating activities the DSWT is running eight fully-equipped Anti-Poaching and De-Snaring Units working together with the Kenyan Wildlife Service in protecting the greater Tsavo Conservation Area covering a vast 60,000km2. These skilled frontline teams, accompanied by armed KWS Rangers, are equipped with vehicles, camping equipment, radios, GPS’s and cameras, patrolling daily to combat elephant and rhino poaching as well as the threat of bush-meat snaring. With sophisticated technical experience and deep local knowledge, the teams are making a significant difference in deterring, prosecuting and preventing illegal poaching and snaring within a huge wildlife habitat. Supporting these vital ground teams are three aircrafts, two Topcubs and a Cessna 185, all ideally suited for low-level aerial monitoring and surveillance. Aerial reconnaissance is a vital tool in the effective prevention of illegal activities, whilst increasing security and providing the essential data needed to protect such vast areas of land. With the data collected daily from the field, the DSWT is also utilising a sophisticated databases to capture vital trends relating to wildlife and illegal activities. Over time such data will become a valuable indicator of wildlife trends for the Kenya Wildlife Service, the country and the scientific community as a whole. Mobile Veterinary Units: The DSWT operates three fully equipped Mobile Veterinary Units headed by Kenya Wildlife Service Vets, which alleviate the suffering of injured wild animals on an unprecedented scale. The Tsavo Mobile Veterinary Unit based at the KWS Voi Headquarters, covers an extensive area including the greater Tsavo Conservation Area as well as Amboseli, the Chyulu Hills National Park and the Shimba Hills National Reserve. The Mara Mobile Veterinary Unit covers the Masai Mara National Reserve, the adjacent Mara Triangle, neighbouring community areas, as well as the Lakes Naivasha and Nakuru areas within the Rift Valley. When needed the unit also operate as far West as Ruma National Park and Lake Victoria. The Meru Mobile Veterinary Unit is based out of Meru National Park and provides permanent veterinary support to the larger Meru ecosystem comprising of Meru National Park, Bisanadi National Park and Kora National Reserve, including all wildlife dispersal areas around the Eastern Conservation Area, whilst also extending its services into additional parks and reserves in the Northern Conservation Area. All three units are equipped with custom-made vehicles, darting hatches, equipment shelves, a fridge, an operating table and all necessary medicines and equipment required for rapid and effective veterinary response to any cases. Between the three units the lives of hundreds of elephants and many other species have been saved. Saving Habitats: In order to protect the future of all wildlife and biodiversity, the David Sheldrick Wildlife Trust is taking huge steps to safeguard unique and endangered wild habitats by securing Public-Private Partnerships with the Kenya Forest Service and Community Group Ranches. The Kibwezi Forest, one of Kenya’s last remaining groundwater woodlands, is an exciting project the DSWT has embarked on in partnership with the Kenya Forest Service, having secured a 30 year concession to conserve and sustain the environment. This unique ecosystem bordering the Chyulu Hills National Park is an exceptional biodiversity hotspot providing a habitat for a number of wildlife species, most notable of which is the African elephant. The project, which covers nearly 60km2, embraces conservation and protection programs including natural resource management, anti-poaching patrols as well as the construction and maintenance of electrically-fenced boundaries, ensuring the steady rehabilitation of the area whilst safeguarding the local communities and their livelihoods from wildlife damage, and providing benefits through sustainable resource utilisation, education and tourism. Project Amu is one of the DSWT’s most ambitious projects, initiated by an agreed long lease for Amu Ranch established between the Trust and the local communities. The lease for Amu Ranch, covering over 60,000 acres, sits within the magnificently diverse inland coastal belt of Lamu on Kenya’s north coast, claiming one of the largest Mangrove forests in the world and some of the oldest coastal forests in Africa. The environmental diversity of the region is incredible, with species including Elephant, Lion, Buffalo, Giraffe, Leopard, Hippo, a major breeding population of coastal Topi and several endangered mammal, bird and tree species. The DSWT is working through the empowerment of local communities at Lamu to ensure the long term success of this project and with the presence of security and two full-time anti-poaching and de-snaring teams this fragile environment, threatened by illegal encroachment, deforestation, poaching and unsustainable agriculture is already recovering from the devastation of previous years. Conservation Initiatives: With agriculture and human settlement encroaching into wildlife habitats, disrupting migratory routes and protected boundaries, the use of electrical fencing has become an important part of conservation management. The David Sheldrick Trust has been erecting and maintaining hundreds of kilometres of fence-lines to limit this growing conflict over natural resources. This fencing has not only proved highly successful in reducing the effects of conflict between wildlife and local communities but also in curbing the nocturnal intrusion of poachers and wildlife offenders. The DSWT has focused on the important issue of water for many years during its work in the arid Tsavo Conservation area. With limited rainfall, which in recent years has shown a drastic decline, arid areas such as Tsavo and Lamu are first to suffer from prolonged drought. To address this threat to the wildlife within these habitats, the DSWT has established many boreholes and windmills to enhance the dry season productivity, as well as instigating temporary water-relief programs to relieve suffering. Effective conservation management must also tackle the on-going maintenance of infrastructure in the field. The DSWT works throughout all its dedicated conservation areas clearing firebreaks, building roads and airfields, as well as establishing and expanding radio networks ensuring better communication. Community Outreach: For over a decade the DSWT has worked to improve the livelihoods and educational standards of people living along the borders of Kenya’s National Parks and protected areas through the introduction of community initiatives and local employment. From the funding of local radio programs, which educates thousands of listeners about the real value of the environment, to the establishment of educational programs and income-generating projects, the DSWT works to help the communities build a promising future. In an effort to educate the next generation, on average over 63,000 Kenyan school children visit the Orphans’ Project at the Nairobi Nursery free of charge every year to learn about elephants and their environment. The Trust also funds 70 conservation-based field trips throughout the year where impoverished children are able to enjoy Kenya’s National Parks free of charge. Support is also given to 24 schools bordering the Tsavo Conservation Area including funding for Tree Planting Programs, which encourage children to plant, nurture and protect their trees and forested areas to instil a better understanding of the value of their natural resources now and in the future. 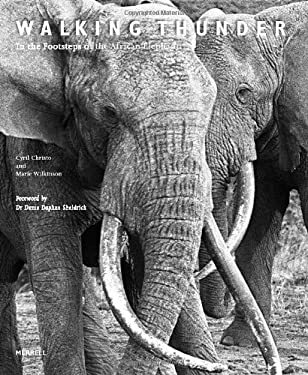 Programme descriptions and images have been kindly provided by the David Sheldrick Wildlife Trust. There are many ways you can help the David Sheldrick Wildlife Trust. Their conservation efforts rely on your support to enable them to continue to protect not only orphaned elephants and rhinos but thousands of other wild animals within their natural habitats. Anyone can become a part of the DSWT family and join the ‘herd’ by fostering an orphaned elephant or rhino online today by visiting our website. Just click on the button below to support them or buy one of their books.